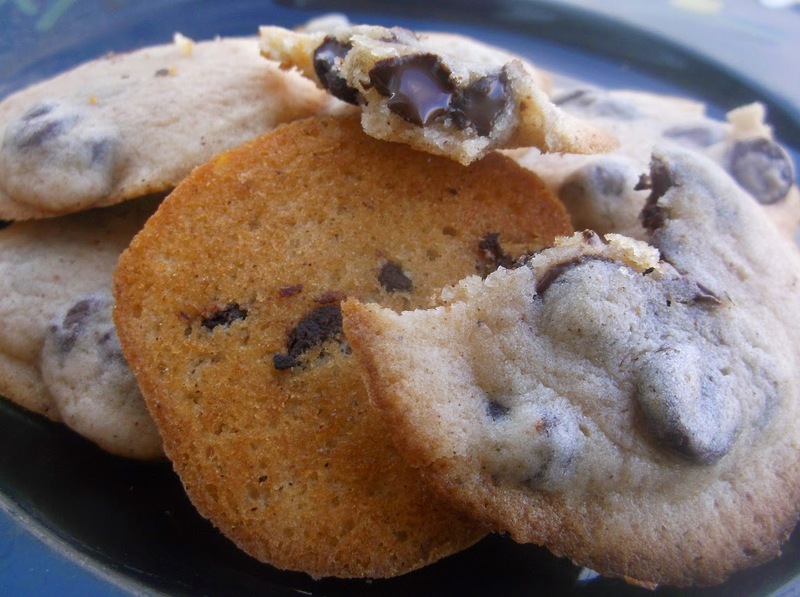 With the same basic ingredients, you can create literally dozens of cookies. This Master cookie dough recipe is reminiscent of a sugar cookie, thereby enabling even the home cook to add, subtract and vary the preparation method to result in your own creation. I have given you a couple of ideas below and, as usual, play with this recipe a little, with the recipe for Santa's Favorites being the Master recipe. Just remember that the more you alter the liquid, the more you will NEED to alter the dry. The dough, when finished, should hold together in a ball when you have finished stirring, or beating, it. It will resemble the preparation method of pizza dough, when it leaves the sides of the bowl and clings together. 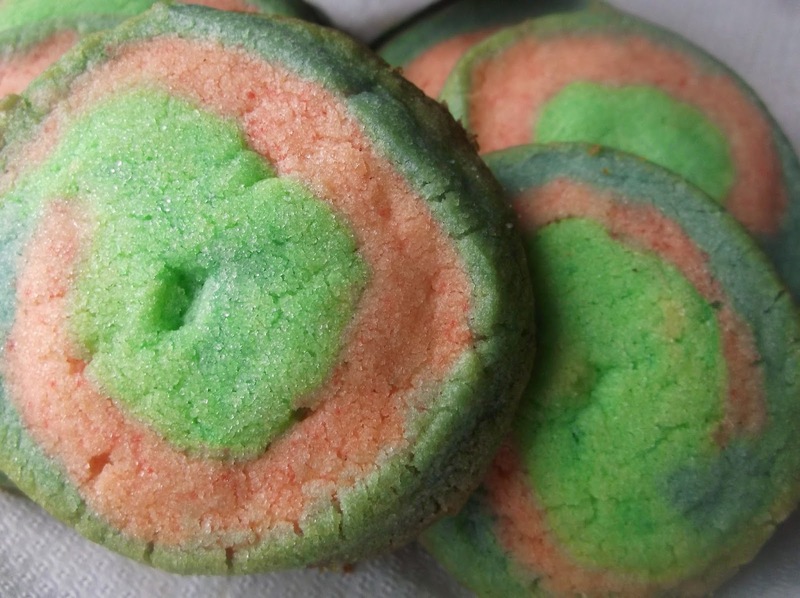 You certainly can make the red portion of this dough more vibrant by adding more red food coloring, but my daughter wanted a pink, so.....It IS the Holiday season after all. In a large bowl, and using an electric mixer on high, beat together butter, 1 cup sugar, egg and milk until creamy and smooth. In another bowl, mix together flour, cream or tartar and baking soda. Slowly add the dry to the wet and continue beating, on low, until well combined. Separate the dough into three separate bowls. With a wooden spoon, or continue using beater on low(cleaning between each bowl) add 2 drops red food coloring and vanilla extract, stirring well. Yes, I said 2, the taste is reflected beautifully once cooked. and stir well. In another bowl, beat in 6 drops blue food coloring and 2 teaspoons peppermint extract and stir well. In third bowl, beat in 4 drops green food coloring and 2 teaspoons peppermint extract, stir well. On a large sheet of film wrap, or waxed paper, add whichever bowl of dough desired. Place another sheet of film wrap over the top and roll out to a half-inch thickness, in a rectangular shape. Do the same with the other two bowls of dough, trying to make them the same size. Now peel off the top sheet of wrap from each rectangle. Lay one rectangle on top of the other and trim to even out the sides. Carefully roll up this layered dough like you would a jelly roll, by the long end. You don't need to do it tightly and if it cracks, that isn't a biggie either. Once rolled, fold the plastic over the ends and refrigerate at least an hour. Preheat oven to 350-degrees F. Spray a large cookie sheet or two with nonstick cooking spray. Remove the dough log from refrigerator and cut into 3/4-inch thick slices. 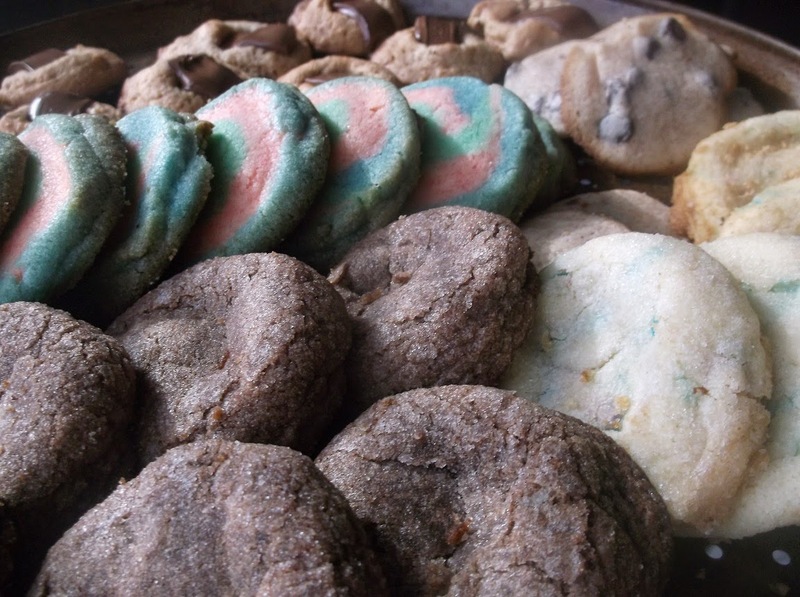 Place on prepared baking sheets, leaving 1-inch between each cookie. Sprinkle with 1/4 cup sugar, evenly, and bake 12-14 minutes, or until you see the edges of the bottom of the cookies starting to brown. Immediately remove from oven to cool for 2 minutes before transferring to a rack or platter to cool completely. Crunchy candy canes in a soft cookie, spiced with orange and graham. What a treat! You choose which coating you want. Sugar for that Holiday rush or graham crackers for a less sweet, yet just as crunchy bite. Either way, these candy canes are a hit with children and adults alike. In a large mixing bowl, with an electric mixer on high, beat butter and 1 cup sugar together until smooth and creamy. Reduce speed to low and beat in orange extract and egg until well combined. In another bowl, mix flour, cream of tartar and baking soda. Slowly beat the flour mixture to the wet, on low, until well incorporated. Stir in crushed candy canes. Place in refrigerator for 30 minutes. Preheat oven to 350-degrees F. Spray a cookie sheet with nonstick cookie spray. By the rounded tablespoon, scoop out dough and roll in the palm of your hands. Roll in crushed graham crackers or remainder of sugar and place on prepared pan. Continue with remaining cookie dough, leaving 3 inches between cookies. Bake 10-12 minutes, or until they are crisp on bottom. Remove to cool slightly before transferring to rack or platter. 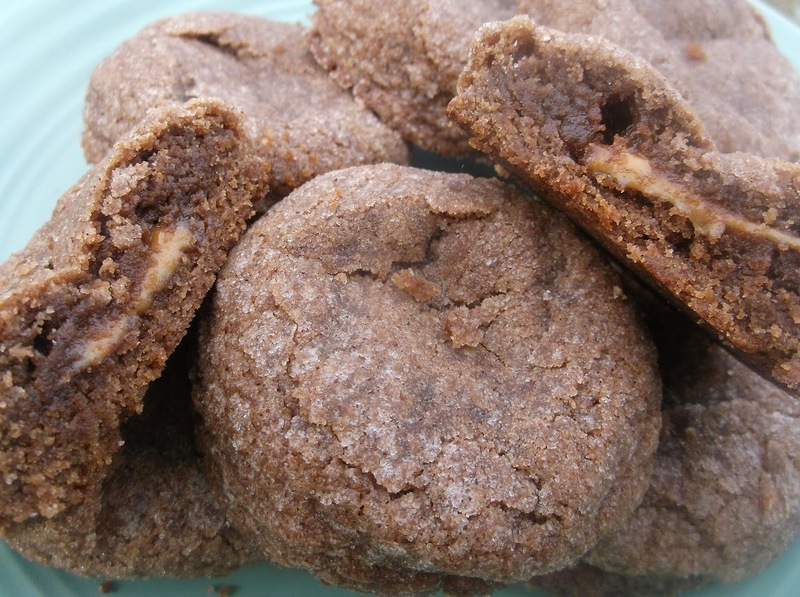 A cross between a sugared cocoa crinkle and a caramel lava cookie, but with the benefits of each. 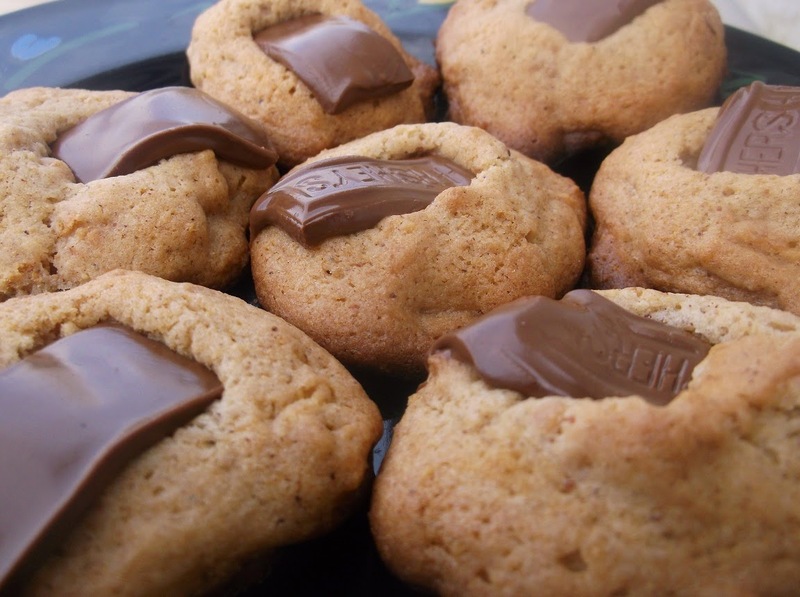 These filled delights are easy to make and can be 'stuffed' with a variety of items, such as broken peanut butter cups, pulled taffy or even jelly of your choice. 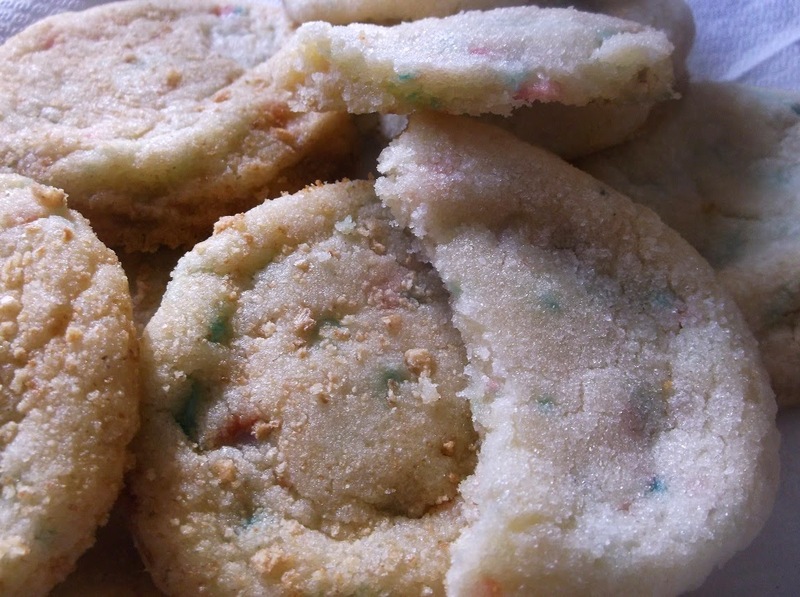 Get the kids involved in making these, just don't let 'em eat the cookie dough, it has raw egg. In a large mixing bowl, with an electric mixer on high, beat butter and 1 cup sugar together until smooth and creamy. Reduce speed to low and beat in vanilla and egg until well combined. In another bowl, mix flour, cocoa, cream of tartar and baking soda. Slowly beat the flour mixture to the wet, on low, until well incorporated. Refrigerate 30 minutes. Preheat oven to 350-degrees F. Spray a cookie sheet with nonstick cookie spray. Remove a rounded tablespoon of dough and roll into a ball with your palms. Make a large indent in the middle, place a cut caramel in the center and reseal, rolling once again. Dip in either graham crumbs or remaining sugar, continuing to roll so crumbs adhere well. Place on prepared cookie sheet and repeat with remaining dough, leaving 3-inches between balls. Bake 10-12 minutes, or until the bottom is crisp. Remove to cool slightly before transferring to a rack or platter. Blossom cookies...Look out! The melted chocolate dripping off the sides of these tangy, soft cookies can only be topped by washing them down with a rich, frothy, hot cocoa. I think what separates these cookies from others is the touch of fruit mixed throughout the dough. It is such a great way of offsetting pure sugar, don't you think? In a large mixing bowl, with an electric mixer on high, beat butter and sugar together until smooth and creamy. Reduce speed to low and beat in fruit spread and egg until well combined. In another bowl, mix flour, crushed grahams, cream of tartar and baking soda. Slowly beat the flour mixture to the wet, on low, until well incorporated. Refrigerate 30 minutes. Preheat oven to 350-degrees F. Spray a cookie sheet with nonstick cookie spray. Remove a rounded tablespoon of dough and drop it on prepared baking pan and repeat with remaining dough, leaving 3-inches between balls. Bake 10-12 minutes, or until the bottom is crisp. Remove from oven and immediately stick a small rectangle of chocolate in the center of each cookie. Let cool for another minute before transferring to a rack or platter. *Mint Apple Jelly would go well here, or your favorite fruit spread. Amazing!!!!! I am trying 3 of these this week. Can't wait, but you should have called the ones with chocolate melted over the sides, Chocolate Tongues, hahaha. Just made the caramel cookies and they came out great. Any more or should I go to your site? Sorry it took so long to respond. I am always adding to my site so by all means take a peak. I just posted some new treats yesterday so check above. And as always, thank you for the kind words.